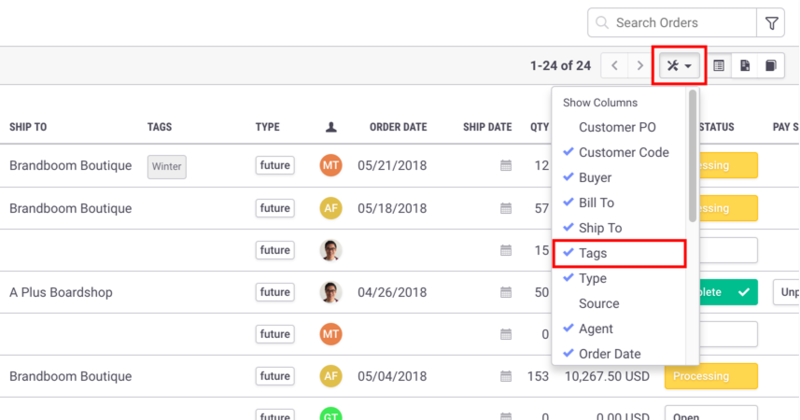 Order Tags give you another way to manage and filter your Orders. 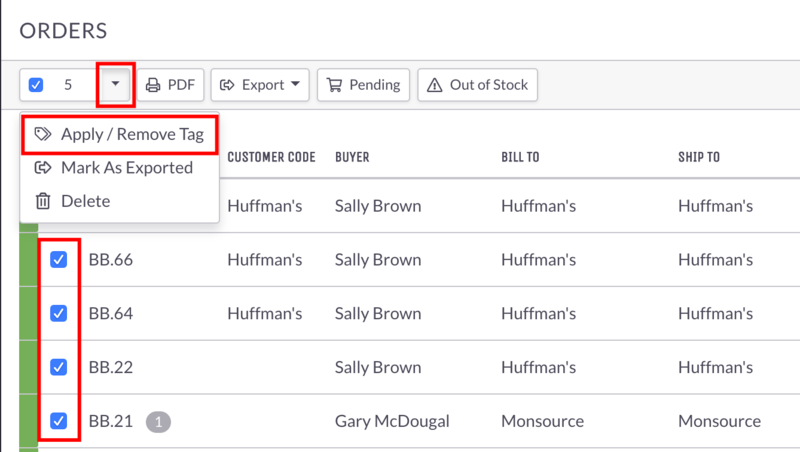 You can either apply an Order Tag directly to an Order or set up Presentation Tags to be carried over as an Order Tag. 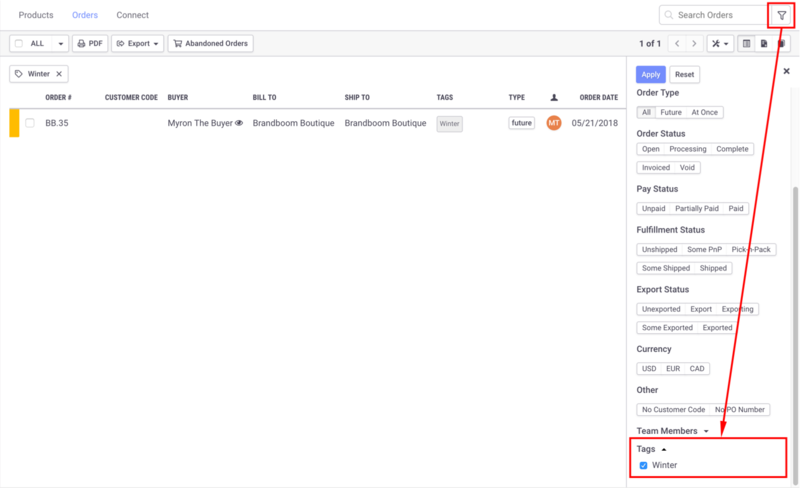 Click the "Show Columns" button on the Orders Page and check "Tags" to show the Tags column. By default, this column is hidden. 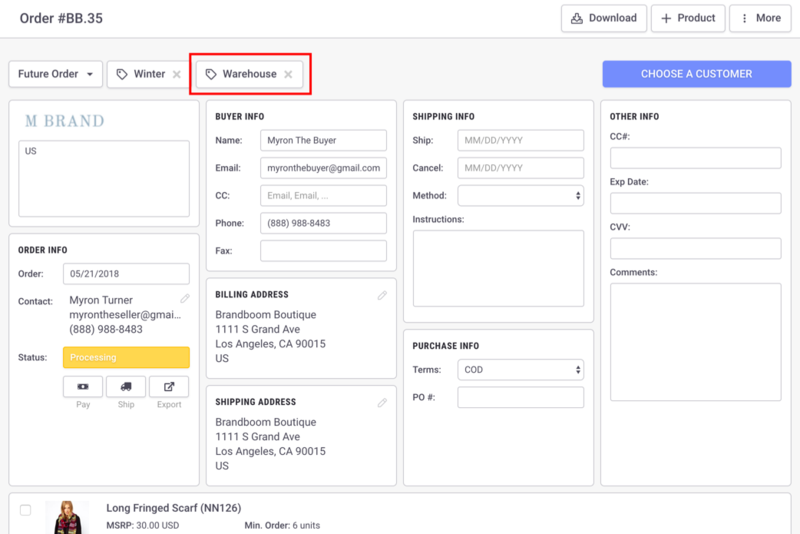 Click the Filters (funnel) icon in the upper right corner of the Orders Page. Check the boxes for the Tags you wish to filter for and click Apply. 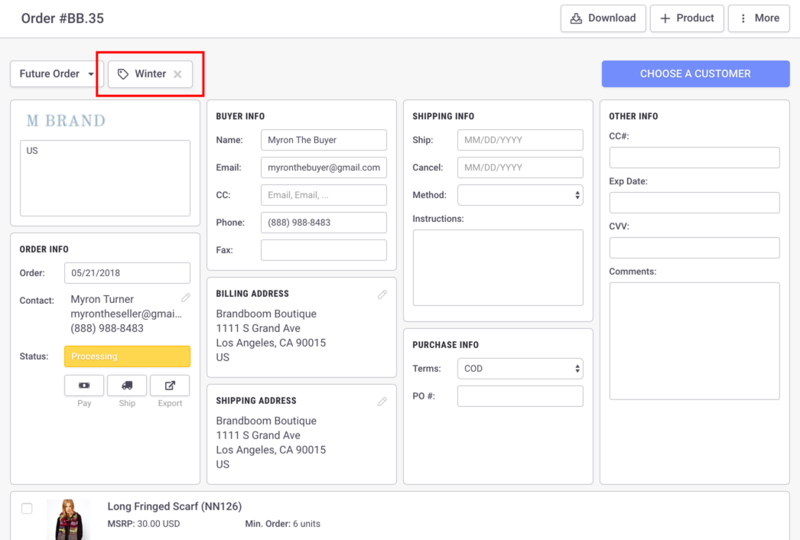 When you open an Order, you will see all associated Order Tags along the top of the page. 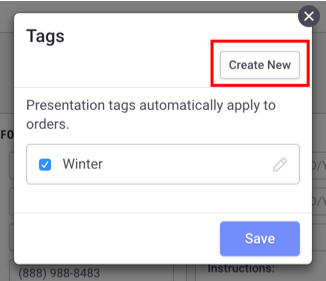 See Tag a Presentation for more information on how to set up Presentation Tags to automatically carry onto Orders. Open an Order and click "More" in the upper right corner. 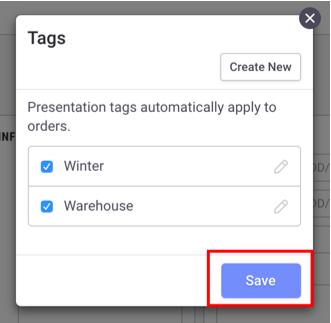 Select "Apply / Remove Tag" to open the Tag Manager. 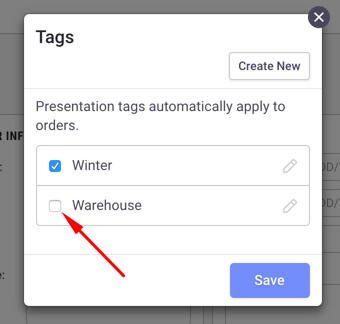 On the Orders page, select one or more Orders and select Apply/Remove Tag from the dropdown in the toolbar. When you click "Apply/Remove Tag", a panel will appear, giving you the option to select from an existing tag or create a new tag. Either check the box for an existing Tag to apply it or click "Create New". 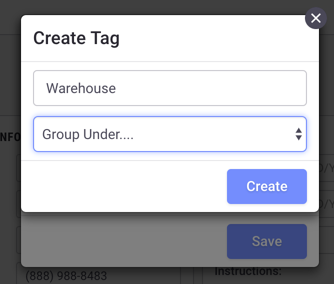 If creating a new Tag, enter a name and choose whether or not to add it to a Tag Group. After a new Tag has been created, it will appear in your Tag list. Check the box to include the Tag and click Save. The Tag will now appear on the Order.